Kaavya Sanje, or an evening of poetry is a regular event that was started in 2013. 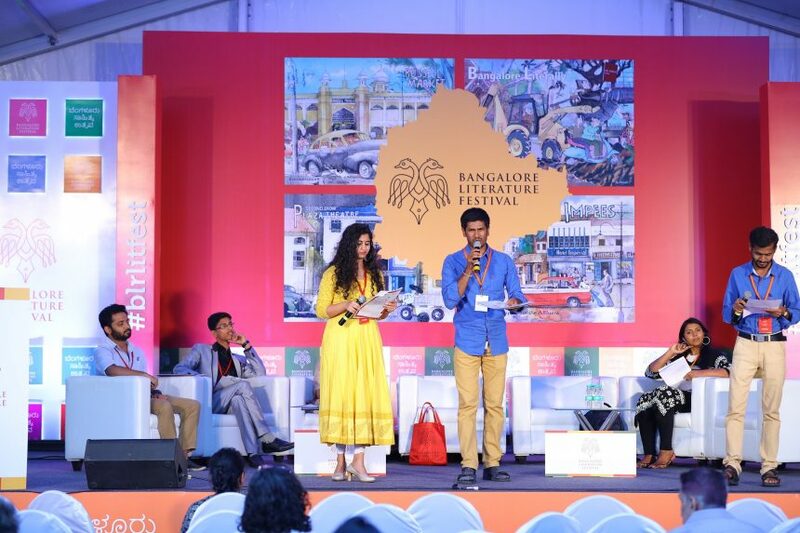 Sixteen editions later, the 17th was at Bangalore Literature Festival 2017. These evenings bring together various poets from across the cities who write in various languages. Poetry in Kannada, Hindi, Urdu, and English found their way this evening. Each of these poems are written on themes closest to their hearts, and most times on various themes that pan a cross social responsibility, romance, and even the little things in life. The evening saw poems that outlined little expectations from a mother, on furniture that stand still, and even on social opinions. Kaavya Sanje does not just bring in poetry from India, but also those from across the world. Poetry from France, Haiti, and Philippines, made their way in translations of Kannada and English. The poems did what they were supposed to, bring in unexpected little tears from poems on war, and transport the audience to a world of Philosophy. There were also two short films based on poetry curated and connceptualized by Mamta Sagar. With a myriad of emotions that poetry brings in, Kaavya Sanje also left with a hint of what they do to help alleviate social discriminations, gender disparity, and partner with ‘Vimochana’, changing one life at a time. About the Author — Shobhana Ramesh is a writer who immerses herself in books, her favourite being those that bring subtle magic into everyday living. She also writes poetry that she curates in her blog ‘Thinking;inking’, and is often lost in the words of other poets too. She currently writes for Bookstalkist.